Ardyce Sullivan passed away on June 7, 2018 at the age of 91 years. She lived independently until almost age 90, and spent the last 14 months at Dow Rummel Nursing Home after sustaining serious fractures from a fall. She was born in Sioux Falls SD on February 27, 1927 to William and Lillian Ament, the second oldest of six children. 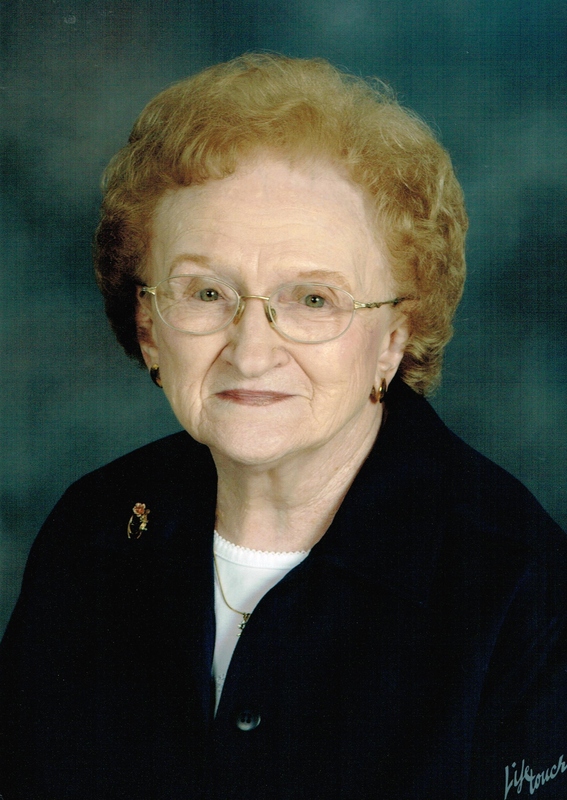 She attended St. Joseph’s Cathedral Grade School and High School, graduating in 1944. She married Robert Sullivan in 1949 and they raised four children. They had 46 happy years together until Bob passed away in 1995. Besides being an excellent wife, homemaker, and daughter who did much to help her own parents, Ardy was the head underwriter for Crum and Forster Insurance Company in Sioux Falls for over 27 years. The most difficult policies to rate were always given to her, and the head office in Minneapolis even sent their policies to her when no one else could figure them out. Ardy was a wonderful mother and grandmother. She was very intelligent and capable, hard-working, industrious, kind, generous, thoughtful, a good friend, and quick to do something nice for someone. She was progressive and liberal in her beliefs which stemmed from the knowledge that we are ALL God’s children. She loved to dance, email her kids and grandkids, and play bridge. She was a very good cook and an excellent baker, and no one could make a better pie, no one. Her Catholic faith was very important in her life. Ardy strongly encouraged her children and grandchildren to further their education, an opportunity that she had to forego even though the pharmacist she worked for during high school offered to pay her way through college if she would come back and run the pharmacy after she got her degree. Her parents needed the money she earned, so she was unable to go. Ardy is survived by her four children: Susan (Jim) Bohlman of Madison WI, Jim (Karen) of Norman OK, Mary (Charlie) Weatherwax of Sioux Falls, and Patty (Paul) Holler (Sioux Falls), and their spouses; her 11 grandchildren, and 22 great-grandchildren; nieces and nephews; sister: Suzanne Connelly, and brother: Tom Ament. She was preceded in death by her husband, Bob Sullivan, and infant son, Stephen. Visitation will be held on Saturday, June 16, 2018, 10:00 AM at Barnett-Lewis Funeral Home with a Funeral Service at 10:30 AM. In Ardy’s memory, donations can be made to St. Francis House in Sioux Falls, where Ardy volunteered.